Disclaimer: I received products to facilitate a review. All opinions are my own. Need a few ideas for last minute Gifts? Maybe someone wants a cell phone, or you want to turn your car into a mobile hot spot? GoPhones are affordable, and NO Hidden FEE's!! The cards are easy to find, and most grocery stores, and Best Buy sells them. What I like about ATT's Go Phone is that there are NO Contracts. It's Pay as you go Plan that still has the latest technology products. 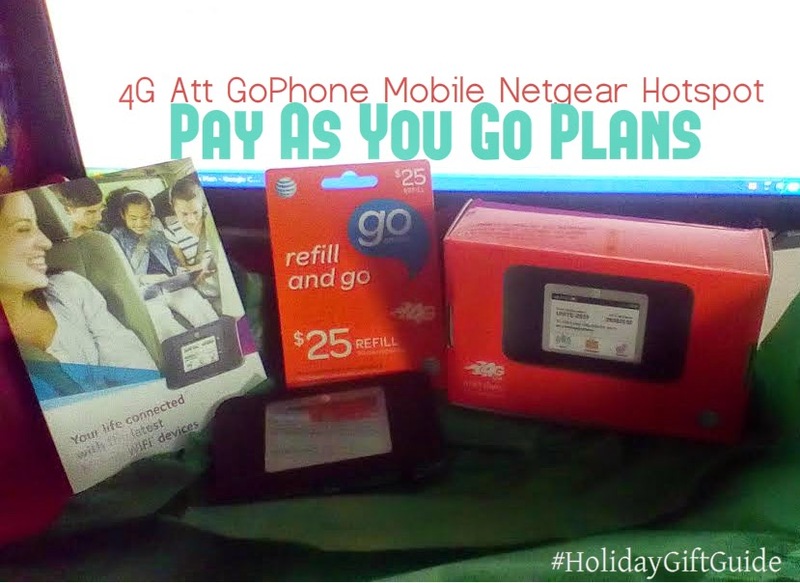 Recently I received ATT's Unite GoPhone by NetGear Mobile Hot Spot. It can connect up to 10 Devices while on The AT&T 4G Network. The Hotspot has a Touch screen which is easy to use. It's also easy to activate, and install. I had mine activated within minutes. The wifi network admin login, and passcode is right on the HotSpot Screen (Which only the owner can see.) There is also an option to have a Guest Log-in. The NearGear hotspot tells you how many devices, and device name is connected to your Network. To find out how much data usesage is being used, I just log into my account. 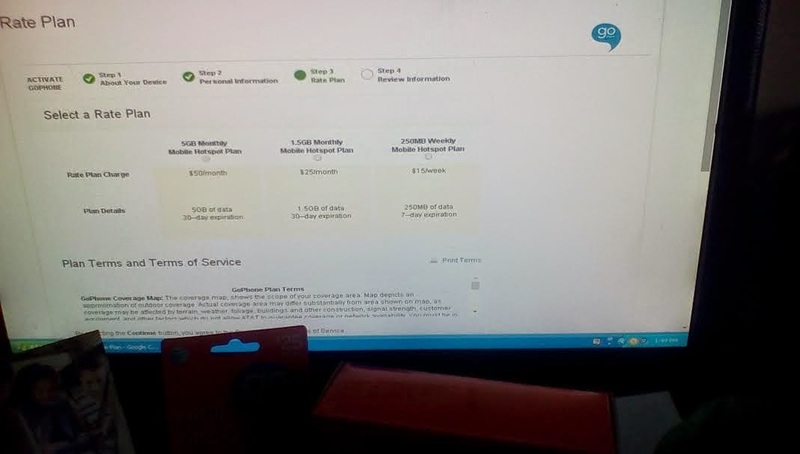 Right now I have the $25.00/Month Plan. That's for 1.5GB of Data. I think it's perfect for those Nights we are stuck on the ferry, and the Long drives to my parents house. Also not everywhere has Internet, let alone a secure Wifi Connection. This would be perfect for the ones that don't feel comfortable connecting to Open Wifi Networks. 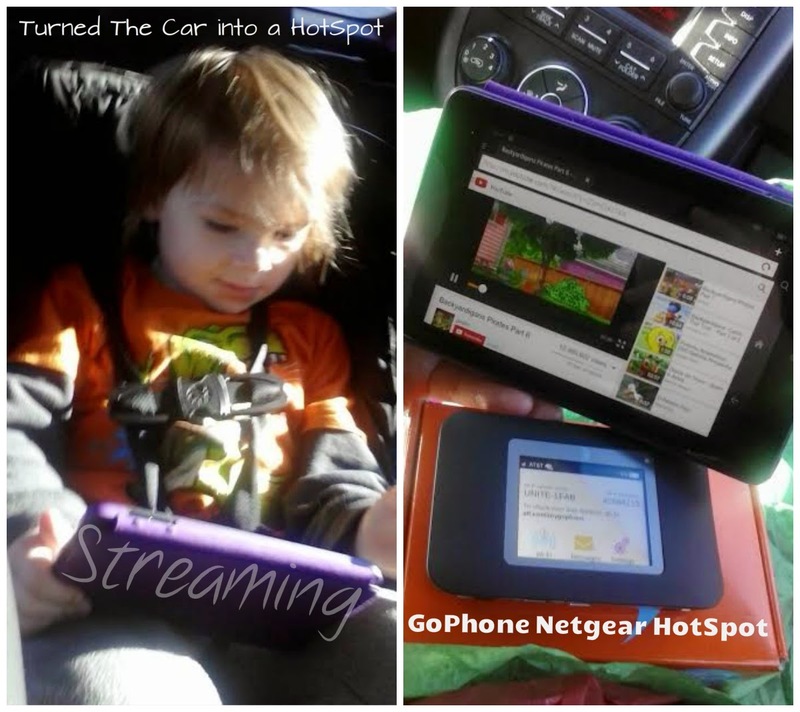 We were stuck on the Ferry tonight, and the Hotspot was a Sanity Saver for my 4 year old, and his Innotab Max Tablet. He uses his tablet for Youtube, and Nick Jr Games. It's an HOUR wait when you miss the Ferry for the next Ferry. There is no "Free Wifi" in the Country. Some places don't have internet, but cell phones work! I liked the convenience of the HotSpot in the car the most so far. Price: $99.99 with no annual contract, no credit check, and no monthly commitment. Availability: Now, on Amazon and at Walmart or Best Buy stores.